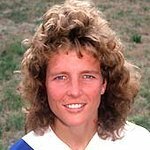 Michelle Akers is a former leading American association football player and played in the historic 1999 Women’s World Cup victory by the U.S.
After retiring, she established the Michelle Akers Horse Rescue charity. No celebrities are known to support the same charities. Google trends for "Michelle Akers"
We don't have any videos related to Michelle Akers.